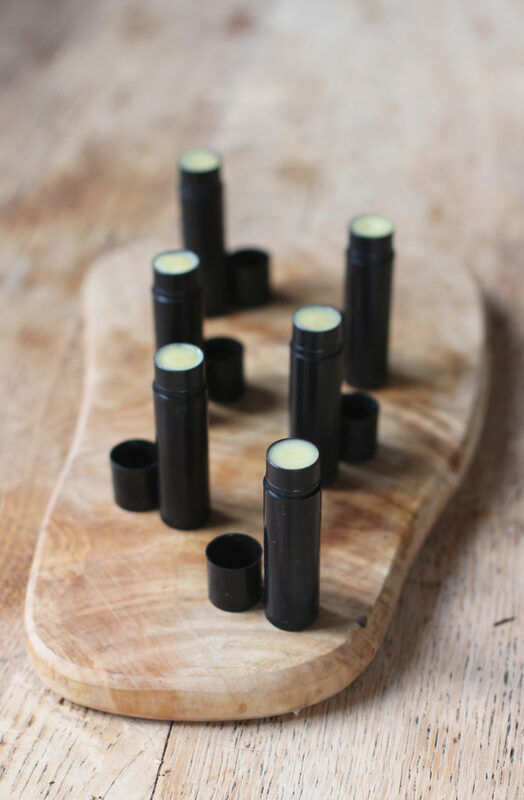 It’s been a while since I shared my last batch of lip balms (coconut & lime) with you, so I decided that it was time I made another recipe for some! I absolutely love making them, they’re just so fun and simple to do. I love creating different flavoured balms, and I couldn’t wait to make some that were completely different from any that I’d made before. When I was choosing which flavour to make this recipe, I decided to make some balms which were based on my favourite food – chocolate! Of course, you all know how much I love chocolate by now.. I eat it almost every day! So, it seemed like the perfect flavour for me to choose. For the chocolate element, I used a combination of edible cocoa butter drops and chocolate fragrant oil. The cocoa butter also added an amazingly smooth, moisturising texture and rich creaminess, and the chocolate oil had such an addictive, incredible smell! As I made this lip balm, my room was filled with the deep scent of chocolate – and it was as if I was making a fresh batch of chocolates! It was even beginning to make me hungry – the balms smelt so delicious. 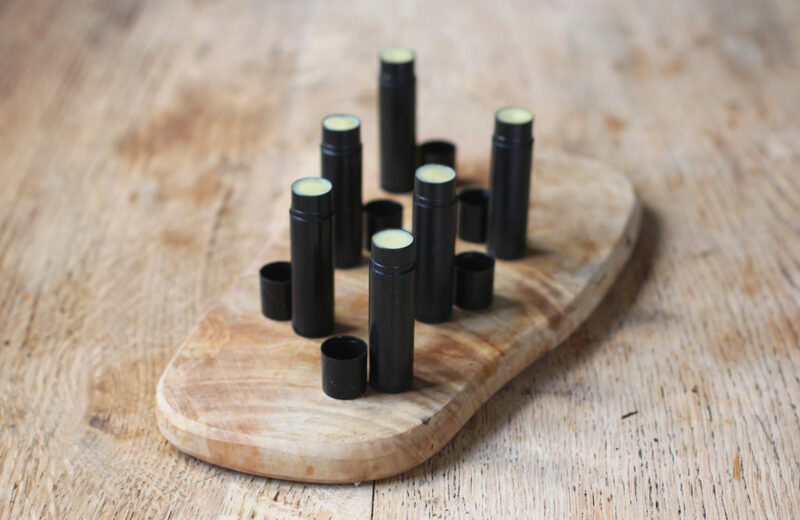 In fact, I think they’re my favourite scent of lip balm I’ve made so far. My cat even loved the smell of them so much, she came up onto my photography table so see what they were!!! Next, add the cocoa butter, mango butter, carnauba wax and vitamin e oil into the bowl. Stir everything together, and allow everything to melt completely. This will take around 7-8 minutes. When everything has melted, remove the pan from the heat and stir in the chocolate fragrance oil. Then, using a spoon, spoon the mixture into 5-6 lip balm tubes (the amount depends on the size of the tin). When all of the mixture has been poured into the tubes, transfer the tubes into the fridge, or somewhere cool and leave them to set for about 1 hour. Then, remove them from the fridge and use! You can also store them somewhere at room temperature. I have always wanted to make my own lip balm, but to be honest I didn’t know how easy it was. Your cats face! I just got an angry look from my cat. I love making them! She was so funny, she kept jumping on to the table and meowing loads!!! Aww! Thank you so much!!! Haha I’ve wanted to eat it too, I’m obsessed with the smell!! Hehehehe thank you so much!!! Okay, wow! I totally need this!! These look fun to make Harriet, I shall definitely try them one day! OMG, I bet this lip balm is fabulous! I totally wish I could try it, but I’d be sooo scared I’d lick my lips and have anaphylaxis. Going to have to make this to give to some of my girlfriends though, because this would make a fabulous gift! Love your creativity, Harriet! Cheers, girlie! OMG these sound amazing, Harriet!! Love chocolate and can’t imagine a better flavor for lip balm—YUM! I’ve never made homemade balms or butters, but I’ve always wanted too! This will be the perfect opportunity, and I’ll get to taste chocolate on my lips all day! What could be better?! Thank you sooo much Joscelyn! Hehehe! Your cat looks so cute! Love these balms, I wish I could try them! Since when is fragrant oil lip safe? Hi Lisa, thank you for your comment. I used a chocolate oil that said it was fine for skincare, which is natural and from a company I trust. I will make it clearer in my post :). If you don’t feel safe adding it to the recipe, you can just leave it out :). I hope this helps!